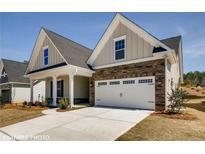 Find Wesley Chapel, NC Homes for sale. View Photos, Maps and MLS Data Now! Known for our energy-efficient features, our homes help you live a healthier and quieter lifestyle while saving thousands of dollars on utility bills. Furniture & accessories do not convey. MLS#3497479. Meritage Homes of the Carolina. Known for our energy-efficient features, our homes help you live a healthier and quieter lifestyle while saving thousands of dollars on utility bills. Furniture & accessories do not convey. MLS#3497460. Meritage Homes of the Carolina. Great features and value in this home! MLS#3497614. 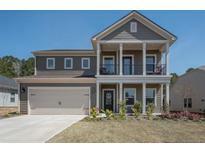 Essex Homes Southeast NC Inc.
Close proximity to I-485, shopping, restaurants and recreation. MLS#3454419. Plowman Properties LLC. Close proximity to I-485, shopping, restaurants and recreation. MLS#3452004. Plowman Properties LLC. Potters Bluff - Schools reassigned for 2018-2019 to Wesley Chapel Elem,Weddington Mid & High. UPGRADES attached MLS#3496136. ProStead Realty. Don't wait to build, this house has all the bells & whistles and is move-in ready! Excellent schools. MLS#3493827. HM Properties. Lots of extras in this home, PLUS a screened in porch! MLS#3488896. Essex Homes Southeast NC Inc. The Estates At Wesley Oaks - Well maintained, peaceful neighborhood is convenient to shops & restaurants. MLS#3484893. The W Realty Group Inc..
Don't wait, set your appointment TODAY, before this amazing opportunity is gone. MLS#3486761. Wilkinson ERA Real Estate. Enjoy the privacy of having common space on 3 sides of your home! MLS#3472591. Helen Adams Realty. Quintessa - Master offers soaring ceiling, spacious sitting area & large Walk in Closet! HUGE secondary beds/baths! MLS#3474636. Allen Tate Wesley Chapel. Less than 15 minutes to I-485! Weddington Schools! MLS#3474124. RE/MAX Executive. Highlighted design features include; Owners Suite tray ceiling, Granite countertops, Upgraded cabinetry, Durable, laminate (wood like) flooring, Upgraded tile in baths and laundry room, Large shower in owners bath with tile surround and seat, Quality, stainless steel appliances, including a gas range. MLS#3477133. Essex Homes Southeast NC Inc.
Highlighted design features include; Owners Suite tray ceiling, Granite countertops, Upgraded cabinetry, Durable, laminate (wood like) flooring, Upgraded tile in baths and laundry room, Large shower in owners bath with tile surround and seat, Quality, stainless steel appliances, including a gas range. MLS#3475739. Essex Homes Southeast NC Inc.
Highlighted design features include; Owners Suite tray ceiling, Quartz countertops, Upgraded cabinetry, Durable, laminate (wood like) flooring, Upgraded tile in baths and laundry room, Large shower in owners bath with tile surround and seat, Quality, stainless steel appliances, include a gas range. MLS#3472978. Essex Homes Southeast NC Inc.
Quintessa iteself is quite the gem offering 1+ acre estates, full amenities, pond, gated setting, while delivering exceptional values in the $700's. MLS#3463981. Taylor Morrison of Carolinas Inc.
Close proximity to I-485, shopping, restaurants and recreation. MLS#3465843. Plowman Properties LLC. Known for our energy-efficient features, our homes help you live a healthier and quieter lifestyle while saving thousands of dollars on utility bills. MLS#3462799. Meritage Homes of the Carolina. Known for our energy-efficient features, our homes help you live a healthier and quieter lifestyle while saving thousands of dollars on utility bills. MLS#3461569. Meritage Homes of the Carolina. Known for our energy-efficient features, our homes help you live a healthier and quieter lifestyle while saving thousands of dollars on utility bills. MLS#3461538. Meritage Homes of the Carolina. Known for our energy-efficient features, our homes help you live a healthier and quieter lifestyle while saving thousands of dollars on utility bills. MLS#3457726. Meritage Homes of the Carolina. Close proximity to I-485, shopping, restaurants and recreation. MLS#3454596. Plowman Properties LLC. Quintessa - Home Warranty will convey to new buyer. Must see to appreciate!! ! MLS#3453560. Mark Spain Real Estate. Known for our energy-efficient features, our homes help you live a healthier and quieter lifestyle while saving thousands of dollars on utility bills. MLS#3452068. Meritage Homes of the Carolina.